Railpictures.ca - Paul Santos Photo: CP 5648 at the old Agincourt sand towers shows it’s unique spray painted nose initials with STL&H markings still visible underneath. This unit was used to build SD30ECO 5039. | Railpictures.ca – Canadian Railway Photography – photographie ferroviaire Canadienne. 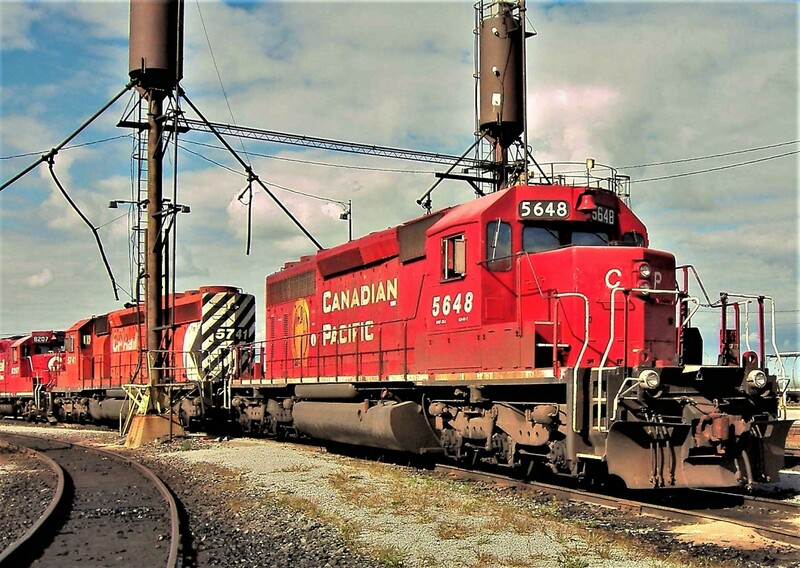 Caption: CP 5648 at the old Agincourt sand towers shows it's unique spray painted nose initials with STL&H markings still visible underneath. This unit was used to build SD30ECO 5039.